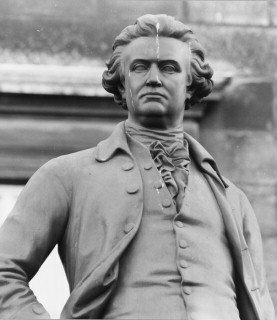 Edmund Burke was an Irish-born politician, philosopher and writer. He is best known for his 1790 book Reflections on the Revolution in France. This makes Burke a contemporary critic of the revolution rather than a true historian, however, his work contains perspectives that have influenced and been embraced by some 20th century historians. Burke was a political conservative who, for the most part, condemned the events in France. But Burke was no revolution-hater. In the 1760s he supported the American colonists in their struggle against British taxation policies, which he considered flawed. As a political philosopher, Burke believed change must be gradual and managed cautiously; too much change in too short a time risked a descent into chaos and anarchy. This encapsulated Burke’s view of the French Revolution, which he considered to be dangerously leaderless, excessive in its aims and motivated more by self-interest than ideological progress. Burke wrote Reflections on the Revolution in France before the radicalisation of 1792-93 and the start of the Terror, so his predictions about the revolution morphing into chaos and violence were vindicated. 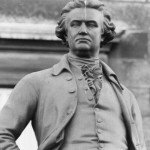 Today, most liberal and conservative accounts of the French Revolution echo at least some of the views of Edmund Burke.